Home Tags Posts tagged with "tax evasion"
Real Madrid star Cristiano Ronaldo has been accused by Spanish prosecutors of defrauding the authorities of millions of euros in tax. 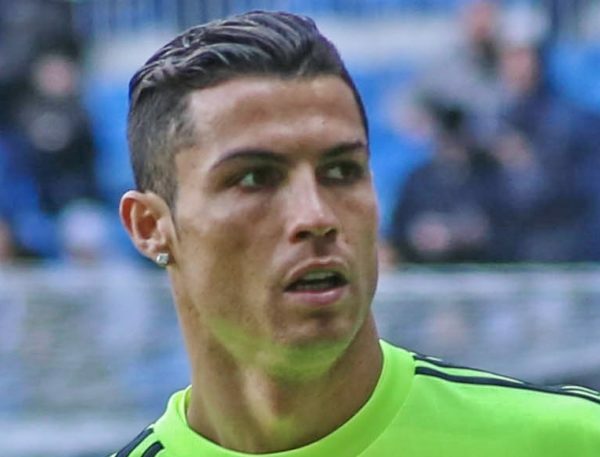 The prosecutor’s office in Madrid says it has filed a lawsuit against Cristiano Ronaldo. The Portuguese player is accused of evading tax of 14.7 million euros ($16 million) from 2011 to 2014. The world’s highest-paid sports star had previously said he was not worried about tax investigations as he had nothing to hide. On this occasion Cristiano Ronaldo is accused of knowingly using a “business structure” to hide income made from his image rights. In December, leaked documents suggested that Cristiano Ronaldo had avoided tax on income allegedly held in offshore accounts. The soccer player denied the allegations. According to Forbes‘ annual list of the world’s wealthiest people, Cristiano Ronaldo is the world’s highest-paid sportsperson for the second successive year. In 2016, Cristiano Ronaldo earned $93 million from salary, bonuses and endorsements. If you work in the world of business, you need to know all about the most common kinds of financial crimes. When you know about them, you can ensure that you never become either a victim or a perpetrator. Here are seven of the most common financial crimes in the business world. Mortgage fraud is something that happens in the real estate industry from time to time. And it can have a devastating impact on people’s lives. A company that does this can extract money from the transaction to increase profits. It’s illegal and can lead to real estate companies getting shut down. This can affect ordinary homebuyers, but it can also affect companies that rent commercial properties. Forgery is when a company is involved in faking documents. It could be as simple as faking signatures to make it appear that they have authorisation for something when they don’t. The reasons for doing this are varied. But it usually links back to money and companies wanting to get their hands on more of it. It can be used to facilitate other kinds of fraud too. When a company does not pay the amount of money in taxes that it’s obliged to, it’s a crime. It’s a serious crime, and many companies have been exposed as tax evaders in recent times. It is very difficult to distinguish between aggressive avoidance and evasion though. For example, there are some very dodgy schemes that are frowned upon but are technically legal. Money laundering happens when illegal money is channelled into legitimate companies. This is done so that the money can enter circulation naturally and appear legal and legitimate. This money has often been used for illegal activities such as selling drugs. On other occasions, it’s simply used as a way to avoid paying tax on some money. Fraud can encompass many different kinds of activity. At its core, fraud refers to a company or individual trying to extract money from elsewhere through illegal means. Fraudulent activity is commonly conducted via things like insurance policies. Sometimes, people take advantage of policies illegally to trigger a payout from the insurance company. But that’s just one example of fraud. Bribery is one of the most common and widespread forms of financial crime in the business world. Bribes are used to get an unfair advantage over the competition, and it’s a key sign of corruption. It occasionally happens that honest payments are mistaken as bribes though. The best criminal defense attorney you can find if you think you’ve been wrongly accused. There is a fine line between the two and a grey area. Racketeering is when organised groups operate an illegal business. These businesses can take many different forms. Some of them are used to simply embezzle funds. And others focus on other particular illegal activities, such as drug and trafficking offence. These organisations obviously have to be kept covert, so they can be difficult for the authorities to uncover them and take action. Princess Cristina of Spain has lost an appeal to have the two charges she faces of tax evasion dropped. A court in Palma ruled that Princess Cristina must stand trial in a case involving her husband’s business dealings. If found guilty, the sister of King Felipe could face a maximum of eight years in jail. Princess Cristina has denied knowledge of the alleged embezzlement scam that also involves her husband, Inaki Urdangarin, and 16 other defendants. They all deny the charges. The case was launched in 2010 and has become highly symbolic of perceived corruption among Spain’s elites, including the royal family. In 2015, King Felipe stripped his sister and Inaki Urdangarin of their titles, the Duke and Duchess of Palma de Mallorca. Princess Cristina now lives in Switzerland, but remains the sixth in line to the Spanish throne and is the first member of the royal family to go on trial. The princess’s lawyers argued that as public prosecutors had refused to press charges against her, the counts should be dismissed. The three judges agreed to continue with the prosecution using the evidence filed by the anti-corruption group, Manos Limpias, meaning “Clean Hands”. The charges relate to the real estate company Aizoon that she owned with her husband, a former Olympic handball medalist. Princess Cristina is accused of making personal use of Aizoon funds for paying for clothes and dance lessons for the couple’s children as well as work on the couple’s Barcelona mansion, which reduced the company’s taxable profits. Inaki Urdangarin is alleged to have used the non-profit Noos Institute sports foundation he ran as a vehicle to win falsely inflated contracts from regional government bodies, before channeling the money to personal accounts via tax havens. Noos is alleged to have received more than €6 million ($6.5 million) of public money, most of it from the Balearic Islands and Valencia regional governments. If found guilty, Inaki Urdangarin could face 19 years and six months in jail. Hearings into the case will resume next month in Palma. The Italian subsidiary of tech giant Apple has agreed to pay €318 million ($348 million) following an investigation into tax fraud allegations, Italy’s tax office says. 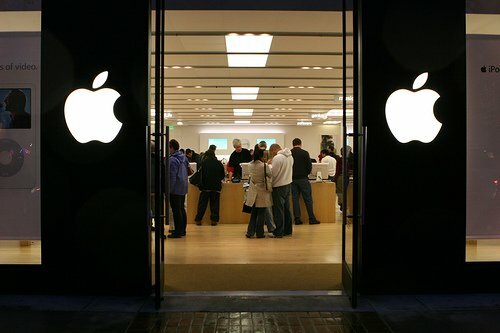 Italy’s tax authorities say Apple failed to pay €880 million in tax between 2008 and 2013, according to La Repubblica. The settlement follows an investigation by prosecutors in Milan. The tech giant has not commented on the deal. It has previously denied attempting to escape paying tax owed on profits made around the world. Apple Italia is part of the company’s European operation which is headquartered in Ireland, a country with one of the lowest levels of corporation tax in the EU. A spokesman for the tax agency confirmed the newspaper’s report was accurate but would not divulge further details. Ireland taxes corporate earnings from normal business activities at a rate of 12.5% compared with 27.5% in Italy. Investigators in Italy say they found a huge gap between the company’s revenues in Italy of over €1 billion between 2008 and 2013 and the €30 million that was paid in tax in the country. The settlement comes amid a European Commission investigation into the tax arrangements of numerous multinational companies accused of using cross-border structures to reduce their tax bills, sometimes with the help of secret and potentially illegal “sweetheart” deals. The issue of Apple’s Irish arrangements is separate from but related to the broader one of multinational companies “parking” revenues and profits in low-tax countries. Apple’s activities in the Republic of Ireland are currently subject to that investigation, which is due to announce soon whether tax breaks designed to secure the company’s extensive investment in Ireland amounted to illegal state aid. Apple’s European operations have been headquartered in Cork since 1980. The company is expanding its workforce there to 6,000 and it has been joined in Ireland by other tech companies including Twitter, Microsoft and Google. Tim Cook said on a visit to Ireland in November that he was confident the Dublin government and his company would be found to have done nothing wrong. The European Commission has opened an investigation into fast food giant McDonald’s tax affairs. The investigation will focus on McDonald’s tax deals with Luxembourg. According to the Commission, the deals allowed McDonald’s to avoid paying taxes in both Luxembourg and the US on royalties from Europe and Russia. It follows similar investigations into tax deals made by Starbucks and Amazon with some authorities in Europe. The Commission said two tax rulings given by the Luxembourg authorities in 2009 had allowed McDonald’s Europe Franchising to pay no corporation tax in Luxembourg since then, despite recording large profits. It added that in 2013, McDonald’s profits were more than €250 million. Commissioner Margrethe Vestager, in charge of EU competition policy, said: “A tax ruling that agrees to McDonald’s paying no tax on their European royalties either in Luxembourg or in the US has to be looked at very carefully under EU state aid rules. McDonald’s said in a statement: “McDonald’s complies with all tax laws and rules in Europe and pays a significant amount of corporate income tax. In fact, from 2010-14, the McDonald’s companies paid more than $2.1 billion just in corporate taxes in the European Union, with an average tax rate of almost 27%. “Additionally, we pay social, real estate and other taxes. Our independent franchisees, who own and operate approximately 75% of our restaurants in Europe, also pay corporate tax and many other taxes. 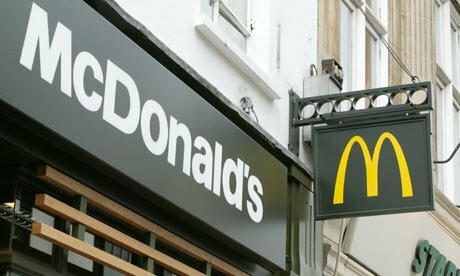 Under the first tax ruling in March 2009, tax authorities in Luxembourg agreed to allow McDonald’s to pay no corporation tax on its European earnings in the country, as long as the food chain could prove that it paid tax on those earnings in the US each year. This was done to avoid McDonald’s becoming subject to double taxation in the EU and the US. It was subsequently discovered that McDonald’s earnings in the EU were not registered in the US for tax purposes, leaving McDonald’s no way to prove it had paid tax on its European royalties there. A second tax ruling in September allowed McDonald’s to pay no tax in Luxembourg on its European earnings, without needing to prove it paid tax on those earnings in the US. The Commission said it planned to investigate whether this amounted to state aid. The latest Commission investigation comes two months after it ordered Luxembourg to recover up to €30 million from Fiat Chrysler and the Dutch to do the same for Starbucks, because their tax deals were seen as unlawful aid. Former HSBC employee Herve Falciani has been convicted of economic espionage and sentenced to five years in jail in absentia, a Swiss court has ruled. Herve Falciani was on trial for leaking bank data that led to tax evasion probes worldwide against prominent clients with accounts in Switzerland. He did not attend the trial and because France does not extradite its own citizens, it is unlikely he will serve the sentence. Herve Falciani told AP news agency he had “no reaction” to the sentencing. He had refused to travel from France to appear before the Swiss Federal Tribunal in Bellinzona for a trial that began last month. Herve Falciani was charged with illegally obtaining data, economic espionage, breach of business confidentiality and breach of bank secrecy while working at a Swiss HSBC subsidiary between 2006 and 2008. The court rejected all the charges except for one alleging a violation of economic intelligence, for having made public information about foreign entities in Lebanon, France, Germany, and the UK. 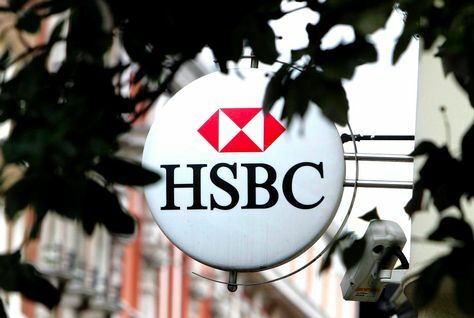 HSBC, which argued that Herve Falciani had illegally downloaded details from clients and accounts, welcomed the decision against its former employee, who was an IT worker at HSBC Private Bank (Suisse). “HSBC has always maintained that Falciani systematically stole clients’ information in order to sell it for his own personal financial gain,” the bank said in a statement. King Felipe VI of Spain has stripped sister Princess Cristina of her title as Duchess of Palma ahead of her tax fraud trial. Infanta Cristina, who is to go on trial charged with tax evasion, was granted the Duchess of Palma de Mallorca title in 1997 when she married Inaki Urdangarin, a former Olympic handball player who is also accused of tax evasion. Princess Cristina had asked King Felipe to remove her title, her lawyer said. However, the royal palace said the king made the decision before seeing her request. 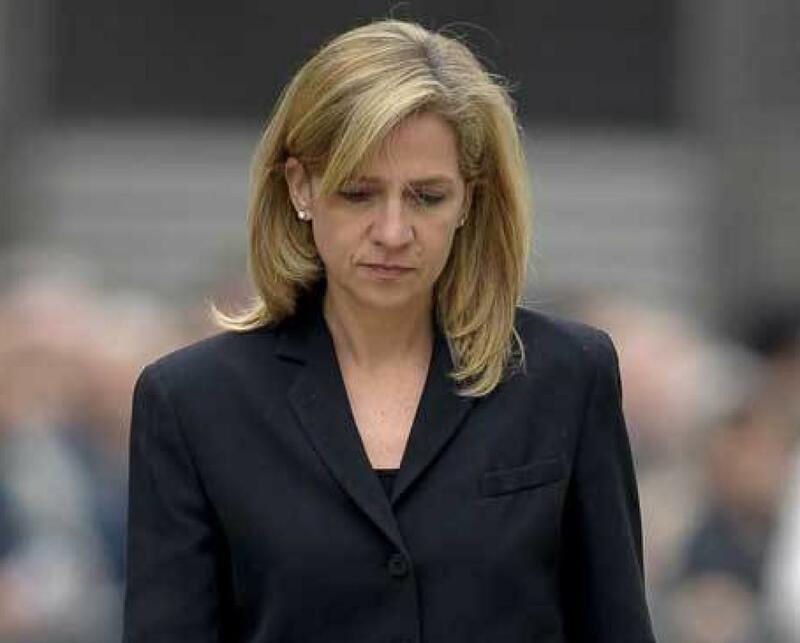 Princess Cristina denies the tax fraud charges. In the year since King Felipe, 47, succeeded his father, King Juan Carlos, to the throne, he has excluded Princess Cristina de Borbon and her husband, Inaki Urdangarin, who faces a wider array of corruption charges in the case, from the royal family’s official functions. Prosecutors in Palma de Mallorca have long been investigating the business dealings of Inaki Urdangarin. Inaki Urdangarin stands accused with 15 others of embezzling 5.6 million euros ($6 million) of public money from the Noos Institute – a charitable sports foundation he ran with a business partner. Princess Cristina is accused of involvement in the alleged scam. It is the first time in modern Spain’s history that a member of the royal family has faced court cross-examination in a major corruption scandal. Princess Cristina, 50, is the youngest daughter of former King Juan Carlos, who abdicated last year. According to a US government watchdog, 1,580 IRS workers evaded taxes over a decade, including some who were responsible for enforcing the nation’s tax laws. This means about 160 workers a year out of a workforce of 85,000. So while were saving receipts, researching tax credits, and using every possible tax calculator available, the tax man himself is avoiding the one thing he’s hired to do. According to a new report by the IRS’ inspector general, most were not fired, even though a 1998 law calls for terminations when the tax agency’s workers willfully don’t pay their taxes. The penalty must be waived by the IRS commissioner. Among their offenses: improperly claiming dependents, repeated failure to file timely tax returns, and claiming a tax credit for first-time homebuyers when the worker didn’t buy a house. Some of the employees received promotions, raises and bonuses after they were caught willfully not paying their taxes, the report said. “Given its critical role in federal tax administration, the IRS must ensure that its employees comply with the tax law in order to maintain the public’s confidence,” said J. Russell George, Treasury inspector general for tax administration. The report looked at workers from 2004 through 2013, before IRS Commissioner John Koskinen started. The IRS said more than 99% of its employees pay their taxes on time, the highest compliance rate of any major federal agency. Historically, about 8% of the general public owes back taxes. The agency said those who weren’t fired faced strong disciplinary actions, including suspensions and reprimands. In 2014, the agency started denying performance bonuses to employees who willfully fail to pay their taxes. The agency also said it will become more transparent about why the commissioner chooses not to terminate certain employees who willfully don’t pay their taxes. Twice a year the IRS uses a screening process to identify employees who might owe back taxes. Tax information is confidential by law so the agency’s ability to check compliance makes it unique among federal agencies. 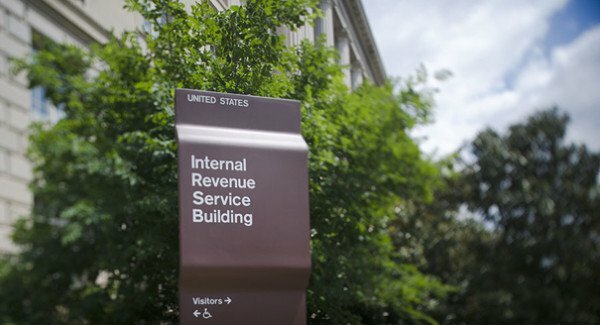 Over the 10-year period, the IRS found 18,300 cases in which IRS employees owed back taxes but the delinquency was not willful, the report said. The IRS found 1,580 cases in which employees willfully did not pay their taxes. Among the willful violators, the IRS fired 25% and an additional 14% retired or resigned, the report said. Sixty-one percent received a lesser penalty. According to a leaked document, the Greek government could hire “non-professional” tax inspectors, including tourists, to spy on tax evaders. Students and housewives could also be used as part of the reported scheme to tackle fraud, which could include hidden cameras and recording devices. 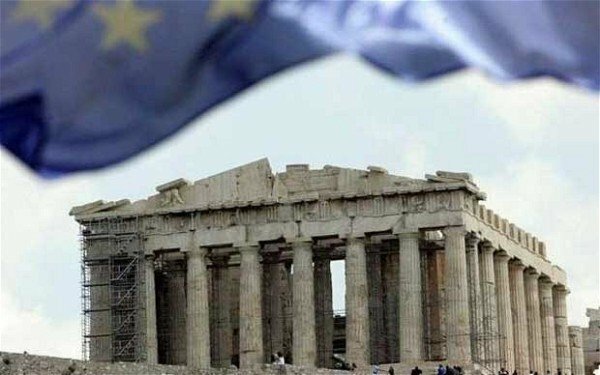 It is said to be one of the ideas Greece will raise at a meeting of eurozone finance ministers on March 9. Greece needs to convince them it is serious about reform to receive further credit. Eurozone leaders want to extend help on Greece’s €240 billion ($272 billion) bailout until the end of June in return for commitments to further reform. The leaked document, a letter reportedly sent by Greek Finance Minister Yanis Varoufakis to Eurogroup president Jeroen Dijsselbloem, was seen by the Financial Times and AFP. “The culture of tax avoidance runs deep within Greek society,” the letter reportedly says. Informal tax inspectors would be hired on a “strictly short-term casual basis – no longer than two months and without any prospect of being rehired”. Yanis Varoufakis is quoted as saying that the very news that there were thousands of casual onlookers carrying spying equipment on behalf of the tax authorities could shift attitudes quickly. The amateur inspectors would be able to go to places traditional tax inspectors would be wary of visiting such as nightclubs and medical facilities, he added. Other proposals reportedly include taxing online gambling, streamlining the bureaucracy and activating an existing plan for an independent watchdog to monitor government fiscal policy. The new government also wants to spend more money to help those who have been hardest hit by Greece’s long recession. Swiss banking giant UBS has confirmed it is being investigated by US authorities into whether it helped Americans evade taxes through investments banned in the US. According to the bank, US regulators were investigating potential sales of so called “bearer bonds”. These bonds can be transferred without registering ownership, enabling wealthy clients to potentially hide assets. “We are cooperating with the authorities in these investigations,” USB said. 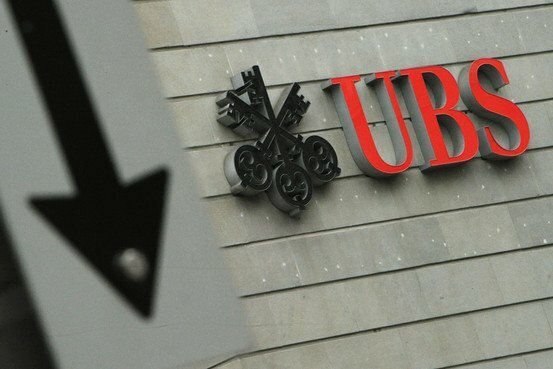 The fresh investigation by the US Attorney’s Office for the Eastern District of New York and from the US Securities and Exchange Commission comes after UBS paid $780 million in 2009 to settle a separate Justice Department tax-evasion probe. The move comes as authorities in a range of countries are considering examining HSBC’s actions in helping more than 100,000 wealthy individuals avoid paying tax. UBS made the announcement as it revealed a better-than-expected 13% rise in fourth quarter net profit to 963 million Swiss francs. However, it warned the increased value of the Swiss franc relative to other currencies, following the Swiss National Bank’s decision to abandon the cap on the currency’s value against the euro, would “put pressure” on its profitability. “The increased value of the Swiss franc relative to other currencies, especially the US dollar and the euro, and negative interest rates in the eurozone and Switzerland will put pressure on our profitability and, if they persist, on some of our targeted performance levels,” it warned. UBS results for the full year, were hit by more than $1 billion to settle past scandals. In November, it was one of six banks fined by UK and US regulators over their traders’ attempted manipulation of foreign exchange rates, paying 774 million Swiss francs in total. It also paid $300 million in the second quarter to settle charges it helped wealthy German clients evade tax. The Department of Justice (DOJ) is continuing to investigate UBS over currency manipulation allegations. 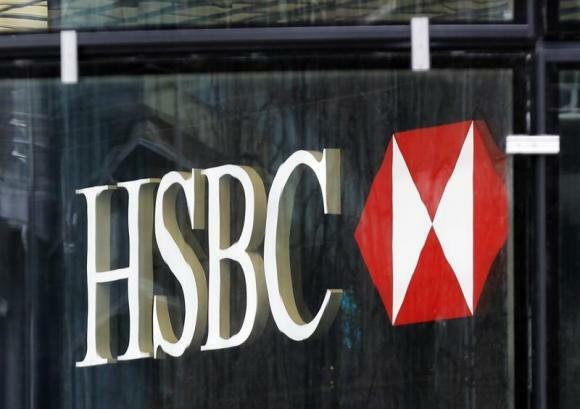 According to new reports, HSBC helped wealthy clients across the world evade hundreds of millions of dollars worth of tax. 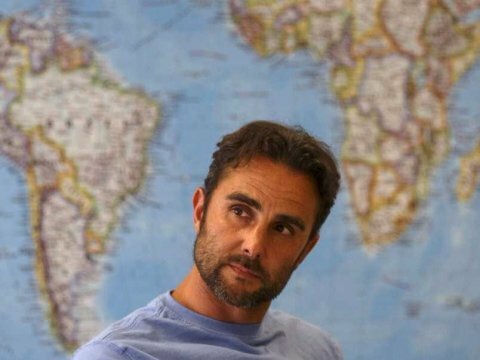 Accounts from 106,000 clients in 203 countries were leaked by whistleblower Herve Falciani in 2007. HSBC admitted that some individuals took advantage of bank secrecy to hold undeclared accounts. But it said it has now “fundamentally changed”. The banking giant now faces criminal investigations in the US, France, Belgium and Argentina. HSBC said it is “co-operating with relevant authorities”. However, in the UK, where the bank is based, no such action has been taken. Offshore accounts are not illegal, but many people use them to hide cash from the tax authorities. And while tax avoidance is perfectly legal, deliberately hiding money to evade tax is not. India’s finance minister Arun Jaitley has said that all Indian names on the list will be investigated, although he cautioned that some accounts might be legitimate. A current inquiry looking into more than 600 people who hold accounts overseas, will now be widened to look into the current list of names. The French authorities concluded in 2013 that 99.8% of their citizens on the list were probably evading tax. The thousands of pages of data were obtained by the French newspaper Le Monde. In a joint investigation, the documents have now been passed to the International Consortium of Investigative Journalists, The Guardian and more than 50 media outlets around the world. HSBC did not just turn a blind eye to tax evaders – in some cases it broke the law by actively helping its clients. The bank gave one wealthy family a foreign credit card so they could withdraw their undeclared cash at cashpoints overseas. HSBC also helped its tax-dodging clients stay ahead of the law. When the European Savings Directive was introduced in 2005, the idea was that Swiss banks would take any tax owed from undeclared accounts and pass it to the taxman. It was a tax designed to catch tax evaders. But instead of simply collecting the money, HSBC wrote to customers and offered them ways to get round the new tax. HSBC denies that all these account holders were evading tax. Meanwhile, HSBC said it has completely overhauled its private banking business and has reduced the number of Swiss accounts by almost 70% since 2007. HSBC said it now puts compliance and tax transparency ahead of profitability. HSBC Private Bank’s Brussels branch is being accused of helping wealthy Belgians to avoid taxes. Belgian prosecutors allege that hundreds of clients – including diamond dealers in Antwerp – moved money to offshore tax havens with the help of the bank. They said it resulted in hundreds of millions of euros in lost tax revenue. In August, HSBC warned that the penalties in relation to such allegations “could be significant”. In a statement, Belgian authorities accused HSBC of “having knowingly eased and promoted fiscal fraud by making offshore companies available to certain privileged clients”. These companies, which are based in Panama and the Virgin Islands, exist for the sole purpose of tax evasion, they added. Over 1,000 taxpayers are alleged to have been involved in the fraud, which saw funds amounting to several billion dollars transferred out of Belgium since 2003. Responding to the announcement by Belgian authorities, HSBC said it had been notified of the investigation, and of a similar investigation by French authorities, and that the bank would “continue to cooperate to the fullest extent possible”. Banks operating in Switzerland are bound by the European Union Savings Directive to counter cross-border tax evasion, by collecting information on the savings income foreign residents receive outside their resident state. Belgian authorities also published emails and other correspondence between HSBC and Belgian clients, which appear to show the bank offering tax evasion services. Prosecutor Michel Claise accused HSBC of “fraud, money laundering, criminal association and illegal exercise of the profession of financial intermediary”. In October, Belgian police raided the homes of approximately 20 people with private bank accounts at HSBC’s Swiss subsidiary, to gather evidence against the lender. HSBC has been subject to a series of fines for misconduct in recent years, most recently in relation the manipulation of foreign currency exchange rates. Founders of the Dolce & Gabbana fashion house, Domenico Dolce and Stefano Gabbana, have been cleared by Italy’s top court of tax evasion. 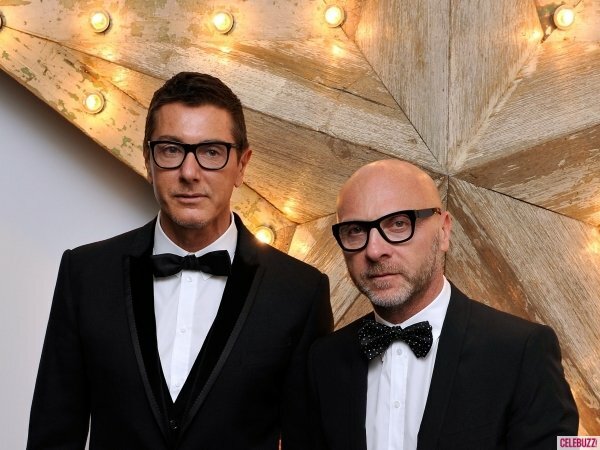 Two lower Italian courts had found Domenico Dolce and Stefano Gabbana guilty of failing to declare millions of euros the company had earned through a subsidy based in Luxembourg. In April, Domenico Dolce and Stefano Gabbana had been sentenced to a suspended 20-month jail term. 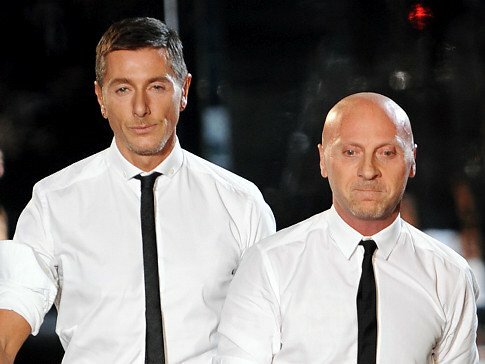 Domenico Dolce and Stefano Gabbana have always denied the charges. In June 2013, they were convicted by a lower court for failing to file tax declarations for the Luxembourg company, Gado, which prosecutors alleged was set up to evade paying taxes in Italy. Domenico Dolce and Stefano Gabbana denied the charges, and last year they briefly closed their Milan stores in protest. The ruling by Italy’s top court is the final ruling on the subject. 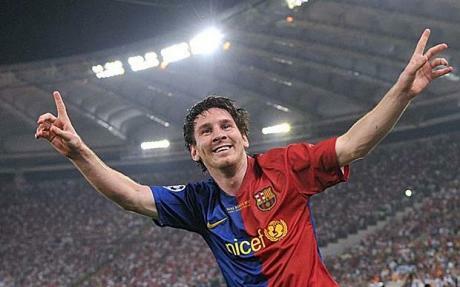 Soccer star Lionel Messi is to face trial for alleged tax evasion, a Spanish judge has ruled. The judge rejected a prosecution recommendation to drop the charges on the grounds the player’s father was responsible for his finances. Lionel Messi and his father Jorge are accused of defrauding the authorities of more than 4 million euros ($5 million). Lionel and Jorge Messi, who deny wrongdoing, have five days to appeal against the ruling. It is alleged that they withheld the money between 2007 and 2009. The income related to Lionel Messi’s image rights, including contracts with Banco Sabadell, Danone, Adidas, Pepsi-Cola, Procter and Gamble, and the Kuwait Food Company. Lionel Messi and his father are suspected of avoiding paying Spanish tax by using companies in Belize and Uruguay to sell the rights to use Messi’s image. In August 2013, Lionel Messi and his father made a 5 million euro “corrective payment”, equal to the alleged unpaid tax plus interest. Lionel Messi has been four times FIFA World Player of the Year and is captain of Argentina. The court decision comes as Barcelona grapples with a separate prominent legal case. A Madrid court is hearing a lawsuit that accuses Barcelona of misappropriating funds from the transfer fee to buy Brazil striker Neymar from Santos in 2013. Barcelona president Sandro Rosell quit in January, but insisted he had “acted correctly” over the transfer. Credit Suisse has pleaded guilty to helping some American clients avoid paying taxes to the US government and agreed to pay a $2.6 billion fine. It is the biggest bank to plead guilty to criminal charges in the US in more than 20 years. Attorney general Eric Holder said Credit Suisse helped American “tax cheats dodge US taxes”. The Swiss banking giant said in a statement it deeply regretted the past misconduct. 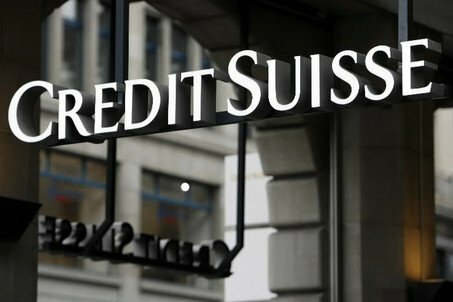 Credit Suisse said the settlement would reduce its second-quarter net profit by 1.6 billion Swiss Francs ($1.8 billion). However, as part of the agreement with US regulators, the bank will not lose its banking license in the US. He added that the tax evasion schemes went back decades, saying that in one case, the practice of using sham entities began more than 100 years ago. However, according to US media reports, neither Credit Suisse chairman Urs Rohner, nor chief executive Brady Dougan are expected to lose their jobs as a result of the agreement. US authorities have already indicted eight Credit Suisse employees who helped clients evade taxes. Credit Suisse is not alone. US prosecutors are chasing more than a dozen other Swiss banks for allegedly helping wealthy Americans dodge US taxes, and at the press conference, they hinted that there would be more settlements to come. Brazil’s national football team coach Luiz Felipe Scolari is to face a criminal investigation, reports from Portugal say, as he denies tax evasion. Luiz Felipe Scolari coached Portugal’s national team from 2003 to 2008. The allegations are believed to be connected to his time there. 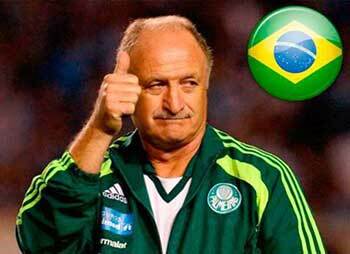 In a statement, Luiz Felipe Scolari said he had always declared his earnings in all the countries he worked in. The allegations come less than a month before the start of the World Cup 2014. The attorney general’s office in Portugal confirmed a criminal investigation had been opened but gave no further details, the Associated Press news agency said. “I am absolutely convinced of the correctness of my declarations. If there is something wrong, it is not of my doing,” Luiz Felipe Scolari’s statement reads. Bayern Munich’s president Uli Hoeness has been sentenced to three years and six months in jail for tax evasion, a German court has ruled today. 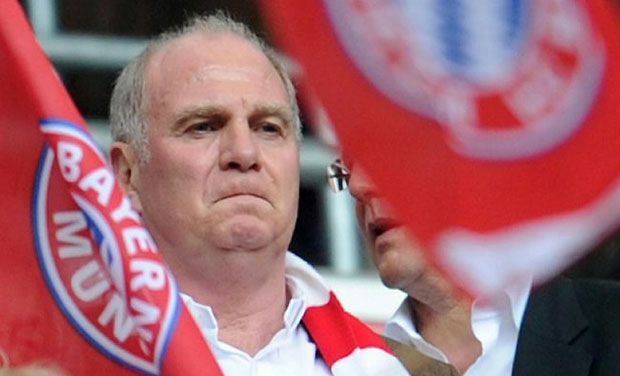 Uli Hoeness admitted defrauding German tax authorities of millions of euros. The former World Cup-winning German international footballer had kept the funds in a secret Swiss bank account. Uli Hoeness’ lawyer had argued he should escape punishment because he gave himself up. But judges ruled his confession fell short of full disclosure. A US congressional committee report found that Credit Suisse “helped its US customers conceal their Swiss accounts” and avoid billions of dollars in American taxes. The report claims the bank opened Swiss accounts for more than 22,000 US customers, with assets totaling $12 billion at their peak. It alleges bankers helped clients create offshore shell entities and design transactions to avoid arousing suspicion. “From at least 2001 to 2008, Credit Suisse employed banking practices that facilitated tax evasion by US customers,” the report said. It said the practices included “opening undeclared Swiss accounts” or accounts to “mask their US ownership”, as well as sending Swiss bankers to the US to recruit new customers and “service existing Swiss accounts without creating paper trails”. US prosecutors are chasing 14 Swiss banks for allegedly helping wealthy Americans dodge US taxes. 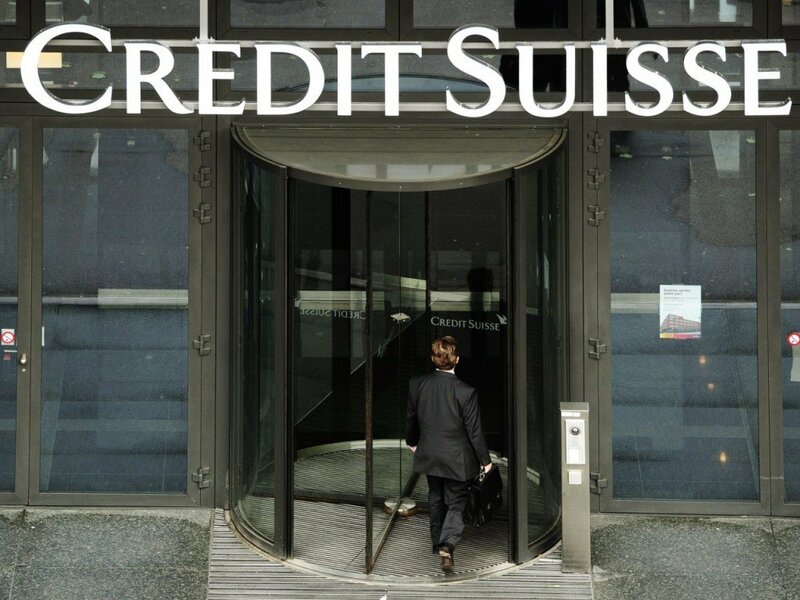 Credit Suisse’s private banking and wealth management division has already put aside 175 million Swiss francs to fight a US investigation into hidden offshore accounts in Switzerland. The bank has said it was “working towards a resolution” with US authorities but has not given a time-frame of when that resolution might be reached. The report has also published details of the way, it alleges, the bank worked to keep the accounts concealed from the US authorities. It said some bankers even applied for US visa waivers, claiming they planned to visit the country for “tourism” instead of “business” purposes. The report listed one incident where a client was handed bank statements hidden in a Sports Illustrated magazine. It said the bank also used sponsored events, including the annual “Swiss Ball” in New York and golf tournaments in Florida, to recruit more customers. The committee has called upon US regulators to take strict action against banks that help US customers avoid taxes. “For too long, international financial institutions like Credit Suisse have profited from their offshore tax haven schemes while depriving the US economy of billions of dollars in tax revenues by facilitating US tax evasion,” said Senator John McCain, a member of the subcommittee. The US Justice Department issued a statement saying it was investigating various Swiss banks over the issue. The Vatican’s bank has unveiled its first annual report in its 125-year history as part of an attempt to become more financially transparent. The Institute for Religious Works (IOR) has been dogged by accusations of corruption. The report shows 2012 was a successful year for the bank, with net profits more than quadrupling to 86.6 million euros. The bank said this jump was mainly due to favorable trading results and an increase in the value of bonds it held. A majority of this profit – 54.7 million euros – was given to the Pope to carry out the Church’s mission around the world. Its balance sheet shows a total of 4.98 billion euros in assets and 769 million euros in equity funds. The assets were primarily held in bonds and money market accounts. But the report also reveals the IOR had 41.3 million euros in gold, coins and other precious metals, a stake in an Italian real estate company, and received two inheritance properties worth around two million euros in 2012. In the report, President Ernst Von Freyberg, said the IOR needed to be a well-respected member of the global financial community. “The annual report seeks to contribute to the transparency which the Catholic Church, our customers, our correspondent banks, our authorities and the public rightfully expect,” he said. Ernst Von Freyberg added that the bank had been “been engaged in a process of far-reaching reform” to improve its organization, compliance and transparency. The IOR has been accused of money laundering and lack of due diligence in allowing non-religious businessmen to hold accounts in what amounts to an international offshore tax haven. In August Pope Francis stepped up the fight against corruption at the Vatican by strengthening supervision of financial transactions at the bank. He issued a decree designed to combat money-laundering and prevent any financing of terrorism. Pope Francis also recently set up a commission to investigate the bank and report back to him personally. In July the Vatican froze the account of a senior cleric, Monsignor Nunzio Scarano, suspected of involvement in money-laundering. Nunzio Scarano and two others were arrested by Italian police in June on suspicion of trying to move 20 million euros ($26 million) illegally. At the time the bank said it would have “zero tolerance for any activity, whether conducted by laity or clergy, that is illegal or outside the Statutes of the Institute”. As of the end of 2012, the IOR had around 18,900 customers, most of which were institutional investors. This was down from 21,000 the previous year, which the bank said was due mostly to it closing inactive accounts. 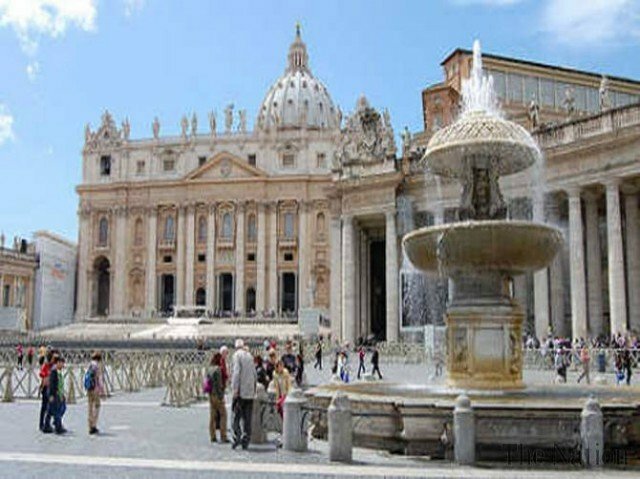 It handles the payroll for some 5,000 Vatican employees and funds for the central administration of the Catholic Church. The IOR also holds the accounts of cardinals, bishops, priests, nuns and religious orders around the world. 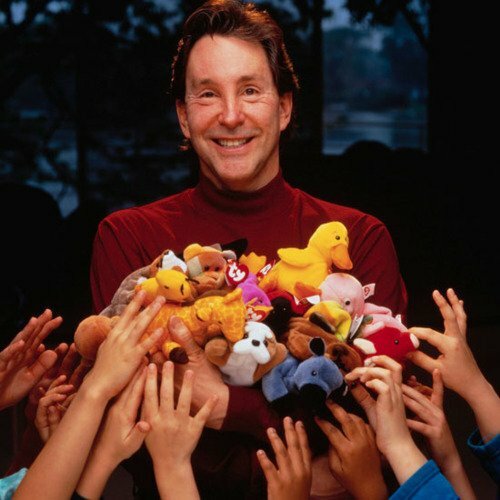 Beanie Babies toys creator Ty Warner could face up to five years in prison after agreeing to admit a charge of tax evasion. Federal prosecutors said that Ty Warner, 69, “went to great lengths” to hide more than $3 million of income in a secret Swiss bank account. Ty Warner’s lawyer said his client had agreed to pay a $53m fine. The Illinois tycoon’s net worth is estimated by Forbes at $2.6 billion, ranking him the 209th richest American. Ty Warner’s attorney, Gregory Scandaglia, said his client accepted “full responsibility for his actions with this plea agreement”. “This is an unfortunate situation that Mr Warner has been trying to resolve for several years now,” Gregory Scandaglia told the Associated Press. The charges come as a result of a clampdown by US authorities on its citizens hiding money abroad to avoid paying tax – particularly in Switzerland. It is alleged that Ty Warner, who also has a reputation for philanthropy, set up a Swiss bank account in 1996 with the UBS financial services company. He failed to tell his accountants or the US tax authorities about the existence of the account, according to a press release by the US Attorney’s office in Chicago. The prosecutor’s statement did not mention a $53 million fine. Beanie Babies are a soft toy, popular in the 1990s, that sell for between $5 and $7. Allen Adamson, from the branding firm Landor Associates, said the toy company could be affected by the “negative buzz” of the case. “It’s so jarring because this product feels so sweet, so innocent,” he said. However, branding expert Laura Ries, of Ries & Ries, disagreed. 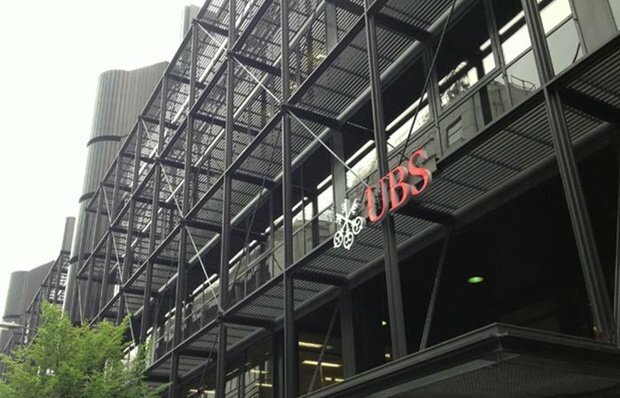 Swiss bank UBS has reached an agreement with US housing agencies to settle claims it had mis-sold mortgage investments. UBS said it had reached an agreement in principle with the Federal Housing Finance Agency (FHFA) over the investments sold between 2004 and 2007. In its statement, UBS also said it expected its second-quarter net profits for shareholders to total 690 million Swiss francs ($734 million). UBS set aside a total of 865 million francs in the quarter to cover litigation. Of that, 100 million francs is related to a deal with the UK authorities to disclose the account details of British tax evaders and hand back unpaid taxes. The bank said that its wealth management business continued to see large inflows – totalling 10.1bn francs during the three-month period, the highest in six years. Its US private banking business received an additional 2.7 billion francs of new client money, although 2 billion francs was withdrawn by clients from its asset management unit. The influx of money comes despite the entire Swiss banking sector coming under scrutiny from foreign tax authorities and its own regulators. UBS is currently under investigation from French and German authorities over allegations that it enabled tax evasion. UBS’s board is refocusing the bank on serving wealthy clients, slimming down its investment banking and trading operations and cutting 10,000 jobs in the process. The decision to make the investment bank subservient to its private banking business came after a string of scandals, including heavy losses on US mortgages during the financial crisis, losses incurred by the rogue London trader Kweku Adoboli, and UBS involvement in Libor-rigging. The deal with the FHFA relates to residential mortgage-backed securities sold during the past decade’s US property bubble to federal housing agencies. The underlying mortgages behind the investments later went bad, with many borrowers proving unable to repay their loans. UBS is one of 18 international financial firms accused by the FHFA of mis-representing the mortgages as being better quality than they really were. The FHFA is also representing Freddie Mac and Fannie Mae, which had to be rescued by the US government during the 2008 financial crisis. The settlement comes after UBS and 13 other banks failed to have an appeals court intervene in the case, following what the banks claimed were “gravely prejudicial” rulings against them. The bank’s estimated earnings were better than the 550 million – 575 million Swiss francs that analysts had been expecting, and up from 425 million francs during the same period a year ago. Its share price rose more than 3% in early trading on Monday following the announcement. UBS will announce its official results for the second quarter of the year on July 30. Lauryn Hill has begun a three-month prison sentence in Connecticut for tax evasion. Former Fugees singer Lauryn Hill, 38, was sentenced in May for failing to pay tax on $1.8 million of her earnings between 2005 and 2007. A spokesman for the federal Bureau of Prisons said Lauryn Hill had reported to a minimum security prison in Danbury. After release, Lauryn Hill will be under parole supervision for a year, with the first three months to be spent confined to her home. Lauryn Hill will be housed with the general population at the Federal Correctional Institution of Danbury, where prisoners live in open dormitory-style living quarters and are expected to work in jobs such as maintenance, food service or landscaping. After pleading guilty last year, the singer’s lawyer had sought probation for her, arguing her charitable works, family circumstances and the fact that she later paid back the taxes she owed, should merit consideration. During her sentencing, Lauryn Hill said she had intended to pay the taxes but could not after withdrawing from public life and ending her music career to raise her children. Lauryn Hill began singing with hip-hop group The Fugees as a teenager before releasing her acclaimed solo debut album, The Miseducation of Lauryn Hill, in 1998. It went on to win five Grammy awards and sold more than 19 million copies worldwide. G8 leaders have agreed new measures to clamp down on money launderers, illegal tax evaders and corporate tax avoiders. Governments agreed to give each other automatic access to information on their residents’ tax affairs. They will also require shell companies – often used to exploit tax loopholes and invest money anonymously – to identify their effective owners. The summit communiqué urged countries to “fight the scourge of tax evasion”. The measures are designed to combat illegal evasion of taxes, as well as legal tax avoidance by large corporations that make use of loopholes and tax havens. The summit in Northern Ireland also saw the launch of free trade negotiations between the EU and US, which UK Prime Minister David Cameron, who was hosting the summit, dubbed “the biggest bilateral trade agreement in history”. Tax, trade and transparency – dubbed “The Three Ts” – were placed at the top of the UK’s agenda for its presidency of the G8, which consists of the UK, US, Germany, France, Italy, Russia, Canada and Japan. But the summit has been overshadowed by the conflict in Syria. The G8 leaders – including Russian President Vladimir Putin, an ally of Syrian leader Bashar al-Assad – backed calls for Syrian peace talks to be held in Geneva “as soon as possible”. David Cameron said the leaders had managed “to overcome fundamental differences”, but no timetable for the Geneva talks was given, and the statement made no mention of what role Bashar al-Assad could play in the future. Leaders agreed that multinationals should tell all tax authorities about what taxes they pay and where. “Countries should change rules that let companies shift their profits across borders to avoid taxes,” the communiqué said. It follows revelations about the ways in which several major firms – including Apple, Starbucks and Amazon – have minimized their tax bills. Illegal activities, including tax evasion and money laundering, will be tackled by the automated sharing of tax information. Ahead of the summit, the Organization for Economic Co-operation and Development (OECD), proposed to share tax information by building on an existing system set up by the US and five major European economies, but on a global scale. “This international tax tool is going to be a real feature of ensuring that we get proper tax payment and proper tax justice in our world,” said David Cameron, who claimed that it meant “those who want to evade taxes have nowhere to hide”. 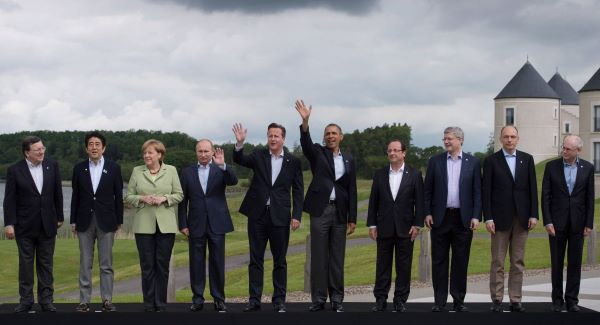 The OECD includes all of the G8 members except Russia. Among the information to be shared will be who actually ultimately benefits from the shadowy shell companies, special purpose companies and trust arrangements often employed by tax evaders and money launderers. Earlier in the day, Chancellor George Osborne unveiled plans for a UK register of companies and their owners. The White House also announced a similar plan for the US. Last week the UK also unveiled a deal with its crown dependencies and overseas territories – including the Channel Islands, Gibraltar and Anguilla – to start sharing more information on which foreign companies bank their profits there. About a fifth of offshore tax havens, which are used by multinationals to shelter cash from the tax authorities, are British dependencies. “Of course Britain’s got to put its own house in order,” said George Osborne, adding that the government would launch a consultation on whether the register should be published or just be available to the HMRC. Speaking during the summit, George Osborne said more progress had been made on reforming the global tax system in the past 24 hours than the “past 24 years”. The G8 communiqué also demanded more transparency from mining firms. It follows revelations that many major mining companies use complex ownership structures in the Netherlands and Switzerland to avoid paying taxes on the minerals they extract in developing countries. “Developing countries should have the information and capacity to collect the taxes owed them,” the communiqué said. The governments agreed that mining companies should disclose all the payments they make, and that “minerals should not be plundered from conflict zones”. “We agreed that oil, gas and mining companies should report what they pay to governments, and that governments should publish what they receive, so that natural resources are a blessing and not a curse,” said David Cameron. The G8 leaders also agreed to stamp out ransom payments to kidnappers for the release of hostages. David Cameron said tens of millions of dollars in ransom money had been paid around the world in the last three years. Andorra has decided to introduce a tax on personal income for the first time as the country faces pressure from its European neighbors to tackle tax evasion. Antoni Marti, the head of the Andorran government, told French President Francois Hollande that he will introduce a bill before June 30, 2013. The principality will “gradually meet international tax standards”, according to the office of the French president. There is currently no income tax applied to individuals or corporations. EU finance ministers have agreed to start talks with Andorra – along with Switzerland, Liechtenstein, Monaco, and San Marino – on swapping bank account information. Recently, the European Commission told the European Parliament it wants EU-wide exchange of all types of income data as part of the fight against tax evasion. EU tax authorities already automatically exchanged information for income such as employment, pensions and insurance but not for income such as dividends and capital gains. Tax evasion costs EU states 1 trillion euros ($1.3 trillion) a year, more than was spent on healthcare in 2008, the Commission has said, and some MEPs are calling for a Europe-wide blacklist of tax havens. 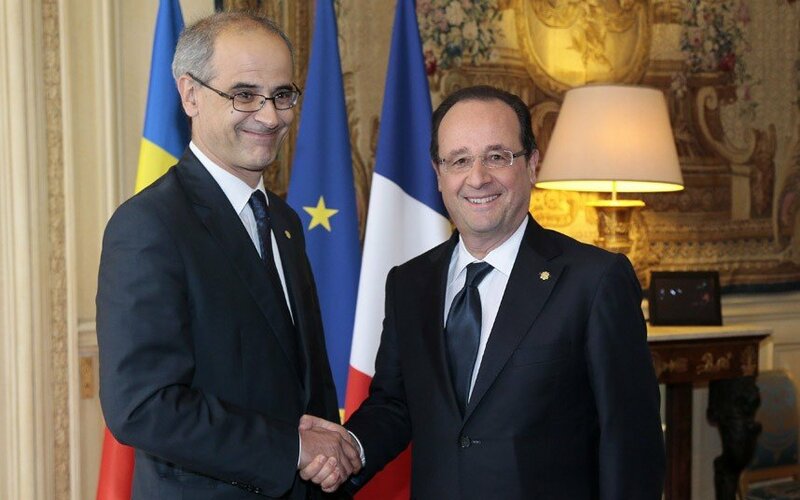 President Francois Hollande was meeting with Antoni Marti in Paris in his role as one of the two co-monarchs of Andorra, which is situated in the Pyrenees mountains between France and Spain. More recently, France’s Socialist government was hit by a scandal, as former minister Jerome Cahuzac was forced to resign over tax fraud allegations. He later admitted that he had hidden about 600,000 euros in a Swiss bank account.